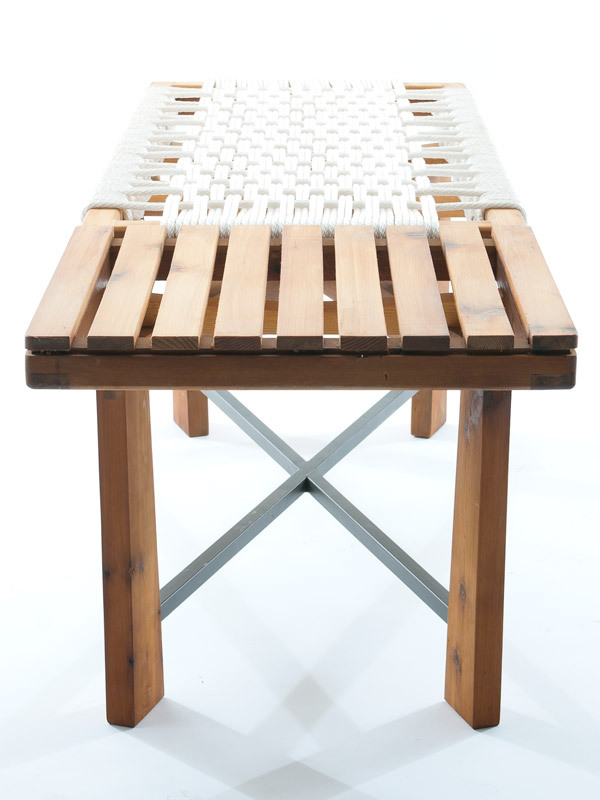 The x-series woven benches are modern benches built with cedar, steel and a choice of either manilla cord or braided nylon for the seat. 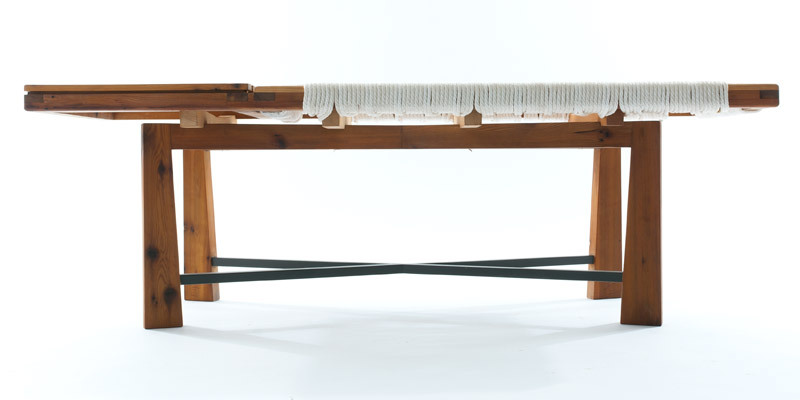 Combining traditional joinery with a steel cross brace, these benches are strong, functional, and beautiful. 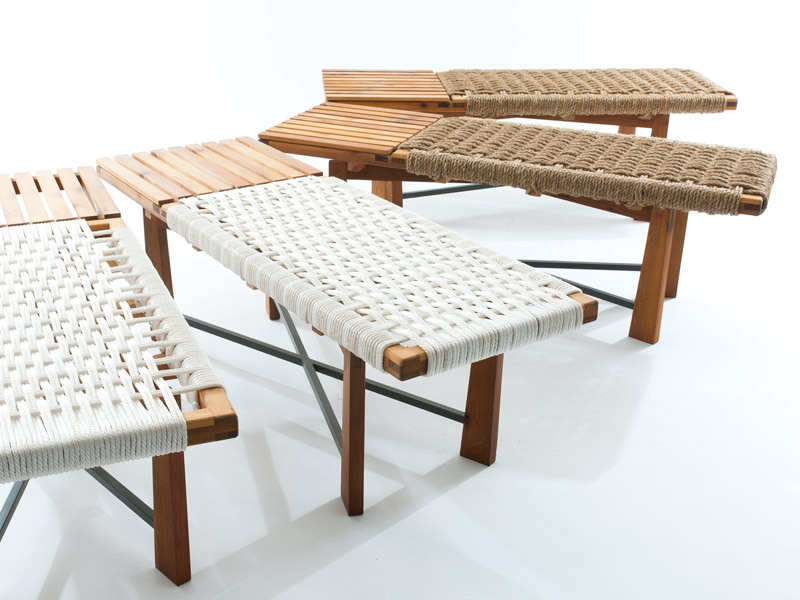 Utilizing classic weaving techniques, the seats are both robust and comfortable. 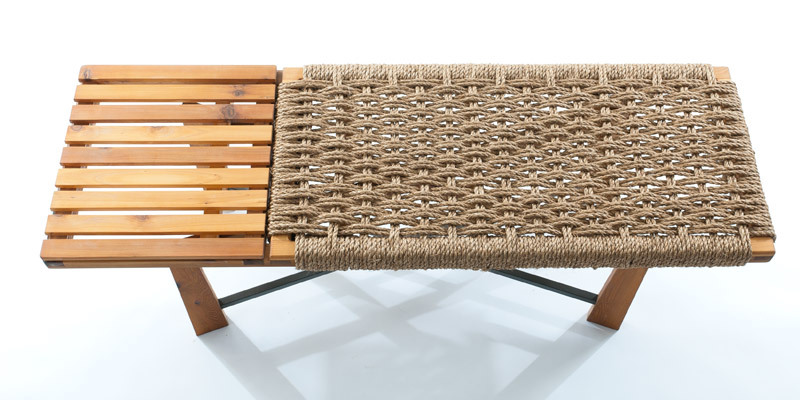 The cedar top beside the seat provides a useful surface to place a beverage or plate of food. 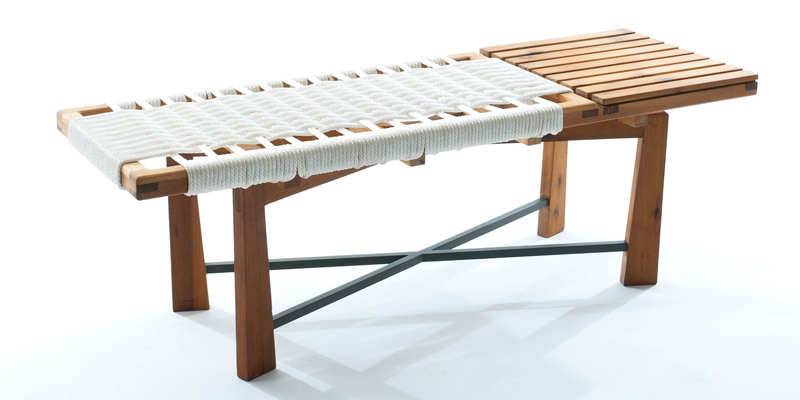 These benches can be used indoors or outside. 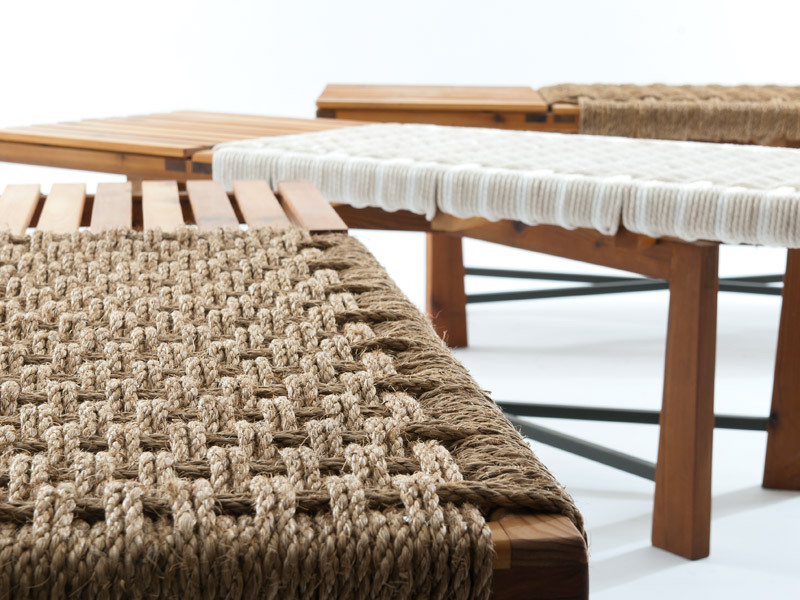 Available in mahogany or cambia oak.